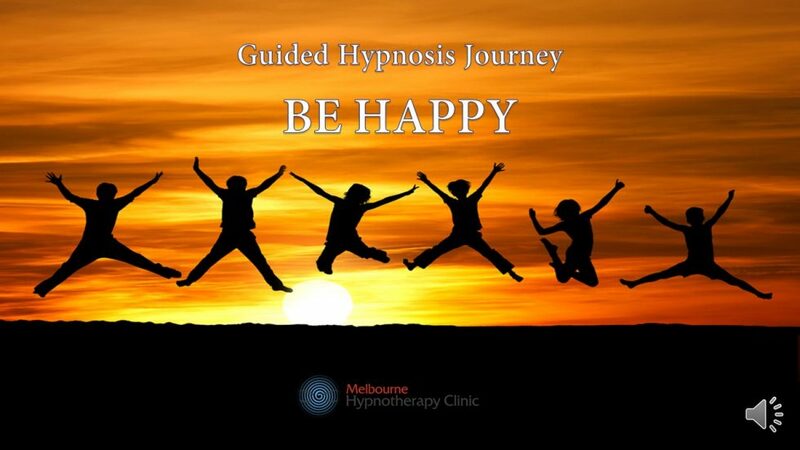 Hypnosis helps people to be happy because it removes the negative beliefs that perpetuate anxiety, pessimism and despair. No matter what’s going on in your life, you always have control over one thing; your mind. You can train your mind to seek out and find things that make you feel joyful, contented and free. Wellbeing doesn’t come from the usual things we think of, like money, status or good health. It comes from a deep inner knowledge that you are the creator of your own reality and that you have the power to feel good at any time. You’re on this planet to experience joy and contentment. Most people think they have to justify their existence by achieving success, accumulating stuff or contributing to the wellbeing of others. There’s nothing wrong with any of these things, but you don’t need to prove your worthiness to anyone. Expansion is inevitable, and when you feel happy it’s very likely that you will achieve your goals; but this shouldn’t be the sole focus of your existence. Even if you did achieve everything you worked for, this alone would not bring lasting fulfilment. The only thing that will bring you happiness is the conscious choice to be happy. Listen to this every day or whenever you can. Don’t worry if your mind wanders off; that’s all part of the process. It’s best to listen with earphones, because the recording contains multi-channelled suggestions. Please don’t listen to this while driving or operating machinery. You want to find a quiet place where you won’t be disturbed so you can enjoy the full relaxation experience. If you like this hypnosis to be happy video, share it around and subscribe to my Youtube channel for even more free weekly videos.